Fresh, homemade and quality, prepared with lots of attention and love. 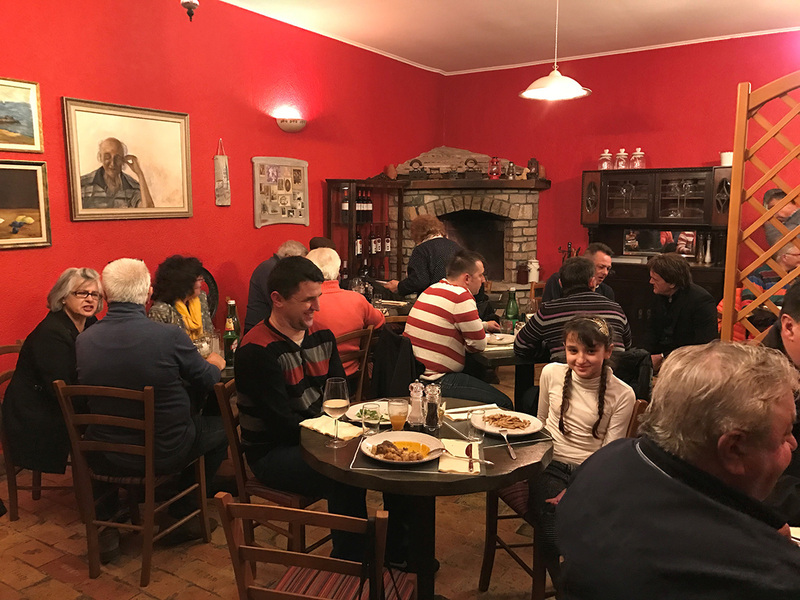 Near Zrenje, along the main road, in the village of Pica, the tavern "GATTO NERO IN BOSCO" was opened. The name associates to our Novigrad Restaurant Gatto Nero, highlighted by quality food and the complete offer. This is exactly what we would like to offer to our guests, those who love the untouched nature, those who will change the sea loneliness by walking or biking on the beautiful landscapes of Upper Buje. And in a newly opened cone the offer is based on the same goals - fresh, homemade and quality. And, a little different. Our offer is based exclusively on local Istrian specialties, on homemade pasta, on what Zrenj and the surrounding offer - truffles black and white, game meat and boškarin.